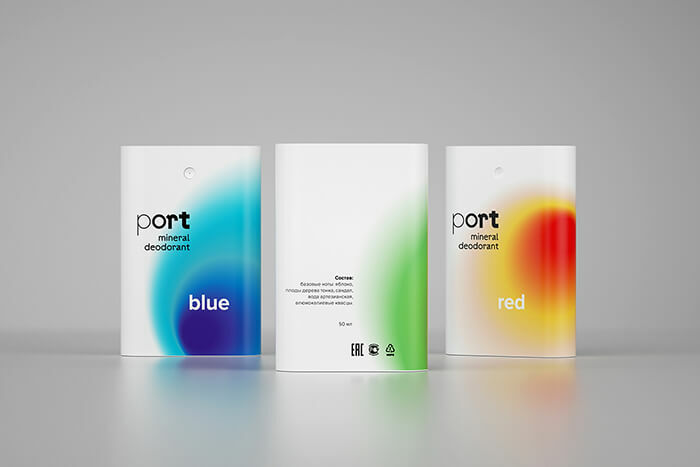 Port, mineral deodorant. 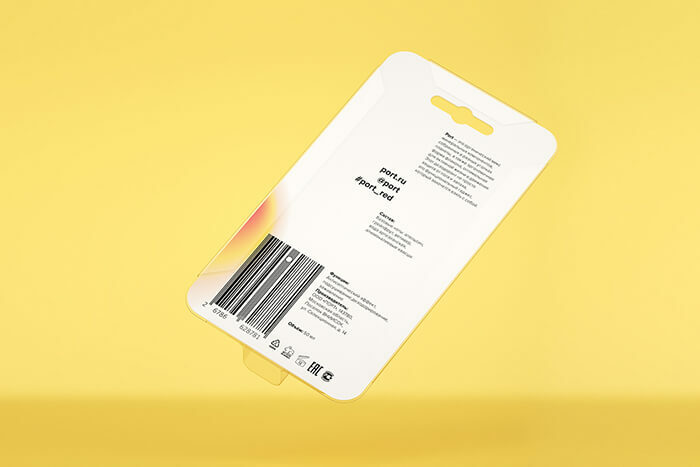 The problem: Today the market offers numerous brands that are pressing on us a stereotype male figure: an expressly masculine character, offered as the one and only alternative. 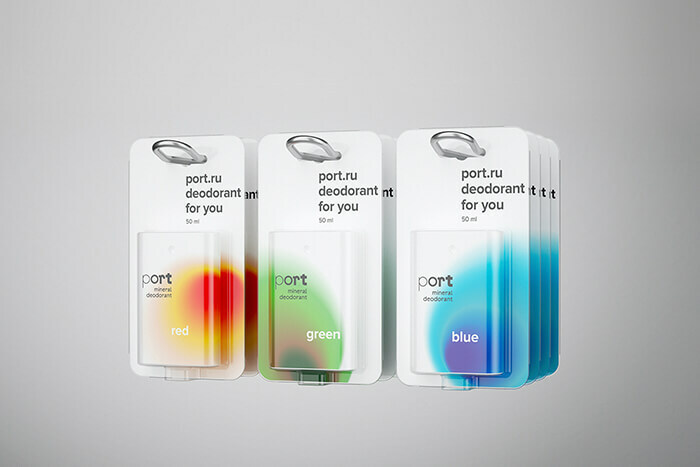 There’s a want for a deodorant that would highlight the unique character and outside-the-box thinking of the individual wearing it; one that would fit right into his active lifestyle. 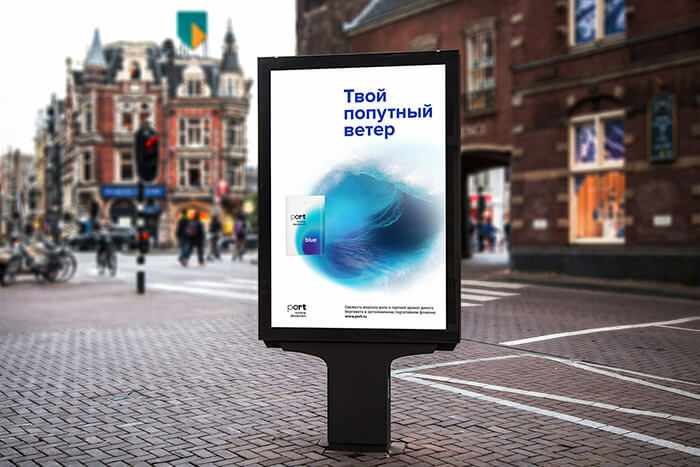 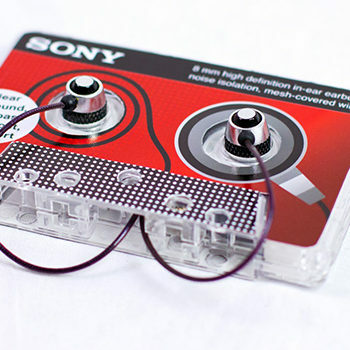 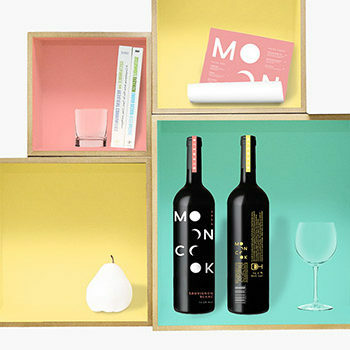 A student project for the Visual Communications course at the British Higher School of Art and Design describes a product designed to solve this problem. 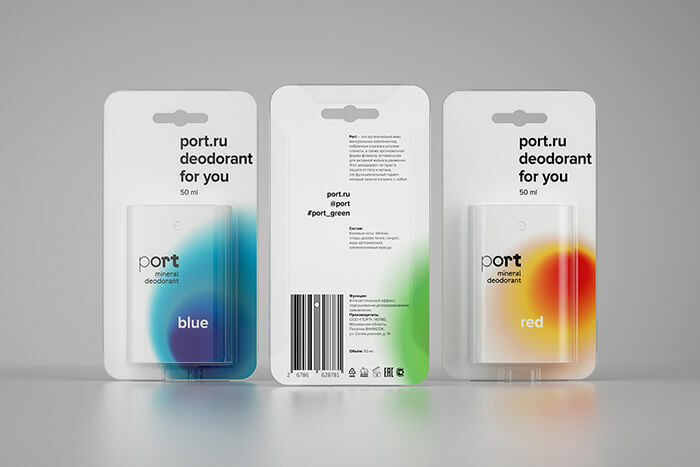 This product is aimed at the young men for whom a deodorant is not a proof of their masculinity but a reliable and convenient device: just what they want for their active living. 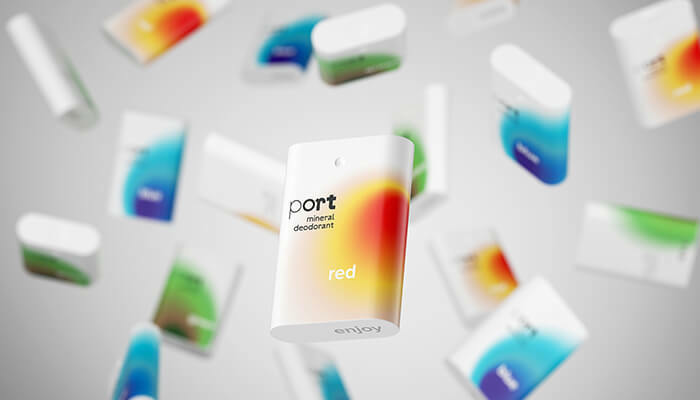 Brand Essence: «Portable Freshness». Port is a deodorant spray based on an organic mix of oils and mineral components from various corners of the world sealed inside an ergonomic shaped bottle perfectly suited for a life in motion. 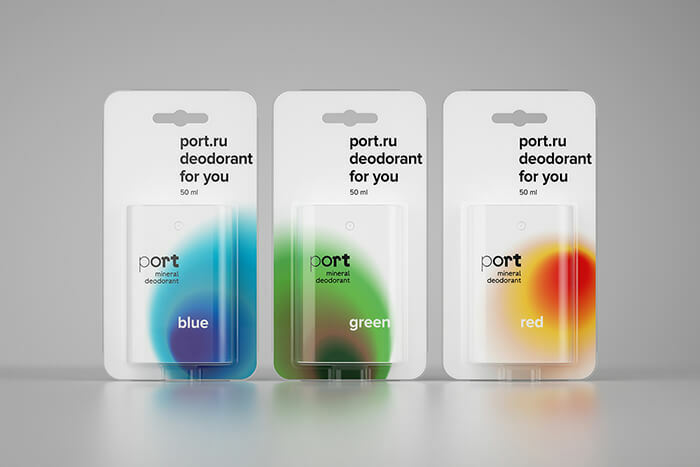 Port is not just a deodorant offering you perfect 24/7 protection, it is a functional device you’ll want to take with you. 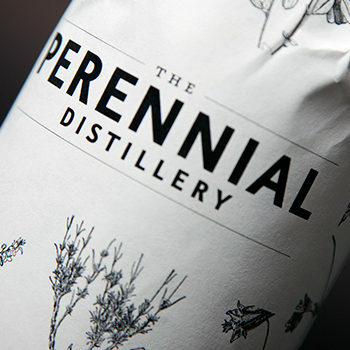 The magnificent diversity of planet Earth’s nature provides inspiration to create an infinite number of unique scents outlining outline each individual’s character in a most harmonious way. 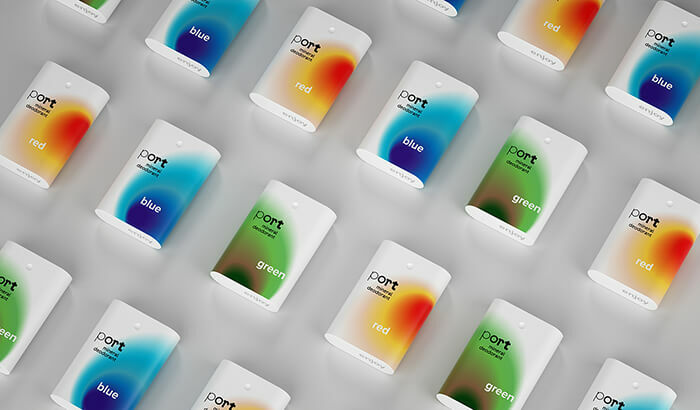 Each scent of the line has its signature color and unique ingredients. 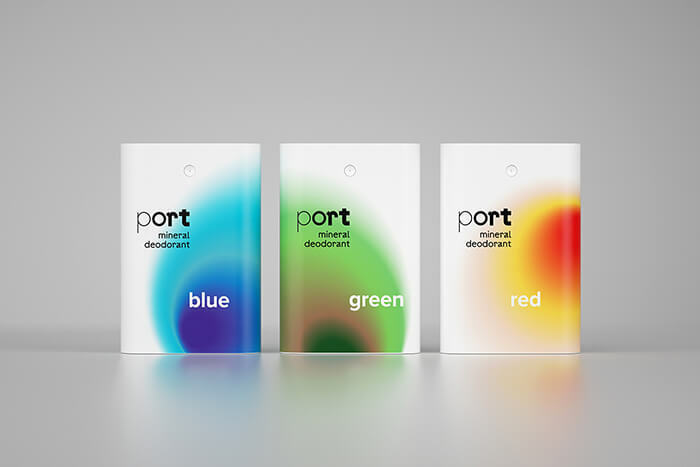 If you don’t like it when a brand tells you what to be and what to do, just pick a scent and make your own story with port! 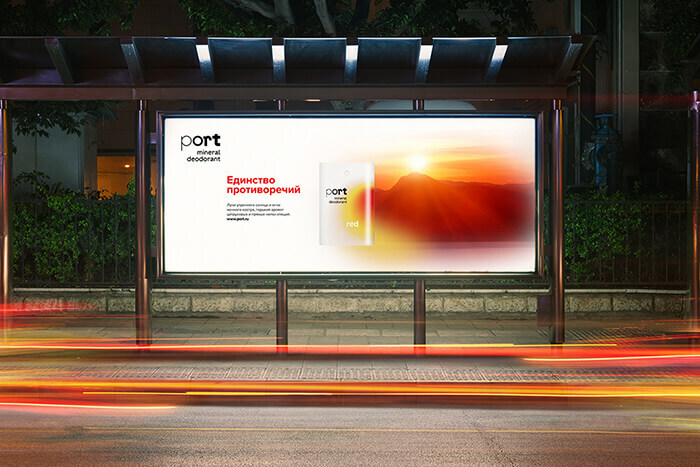 Port: following you in any direction.